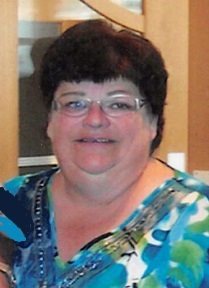 Patricia A. Blissenbach, 72 year old resident of Pierz went home to be with her Lord Jesus on Monday, September 10 at the Pierz Villa Nursing Home. A funeral service will be held on Sunday, September 16 at 3 :00 P.M. at Emblom Brenny Funeral Service in Little Falls. A visitation will be held from 2:00 P.M. until the hour of the service. Patricia A. Phillip was born April 11, 1946 in Minneapolis, MN the third child to the late Stanley and Edna (Jeske) Phillip. She grew up in Northeast Minneapolis and graduated from Edison High School. Patricia loved the outdoors and as a young girl worked on a farm during the summer months. She attended St. Cloud State University and majored in Art Education. She was united in marriage to John Blissenbach on September 16, 1967 at the University of Minnesota St. Paul Campus. The couple made their home in rural Pierz. Patricia was a stay at home mother and was a substitute teacher for the local school districts. She also worked at the Carnegie Library in Little Falls. She enjoyed crafting, sewing, reading, traveling and spending time with family and friends. Patricia treasured her time spent hosting bible studies in her home for 30 plus years. Left to cherish her memory are her husband, John Blissenbach of Pierz; children, Sarah (Chris) Gabrielson of Rice, Matthew (Mary) Blissenbach of St. Cloud and Jonathon (Becky) Blissenbach of Sauk Rapids; grandchildren, Hannah, Sophia, Michael, Ella, Alivia and Ethan; sister, Jane Townsend of Maple Grove and other relatives and friends. She was preceded in death by her parents, Stanley and Edna Phillip; sister, Sharon Zirbes; brother, Charles Phillip; and brother in law, Gary Townsend.